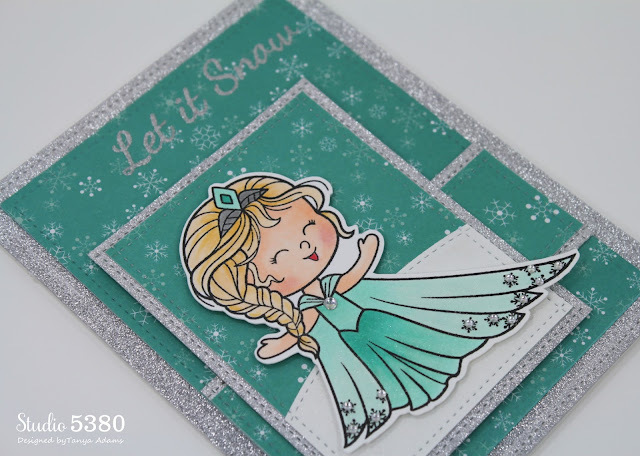 I made this one for my granddaughter, Hannah, who loves all things Frozen. 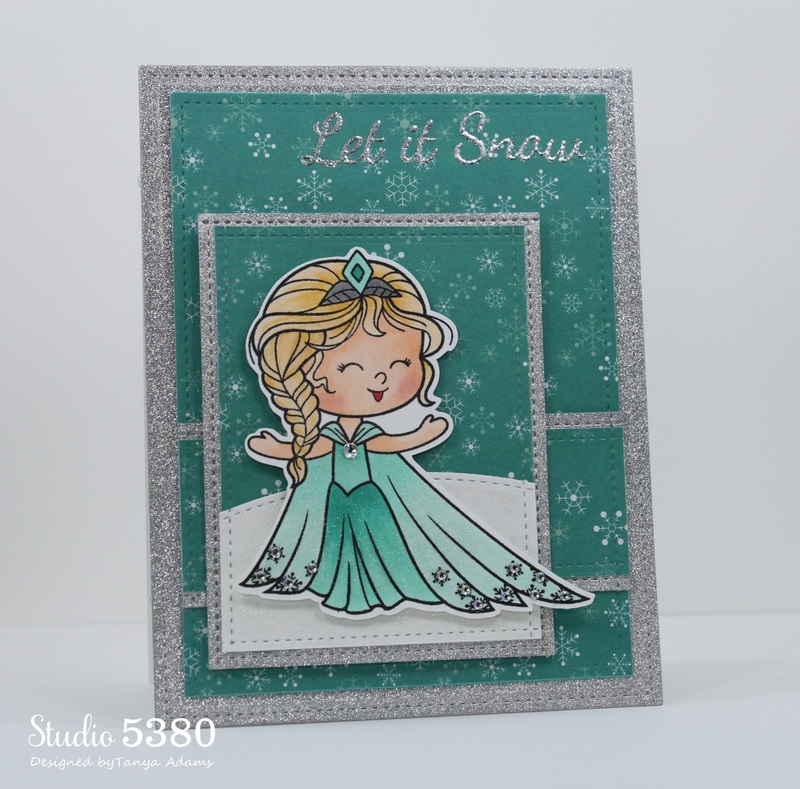 This sweet image is from the "Little Darling Winter" stamp set by Your Next Stamp. I colored her with Copic Markers and added lots of sparkle with a Clear Wink Of Stella Glitter Marker. And, of course, no Frozen project is complete without Olaf! 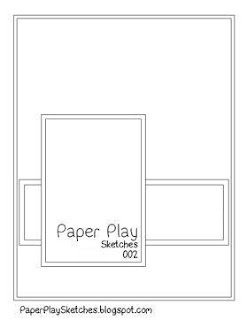 I hope you get a chance to play along with our challenge and I look forward to seeing your project linked up at Paper Play Sketches. Be sure to stop by the blog to see all the amazing projects put together by the Design Team for your inspiration. I love this card....she is going to love this as well. A keepsake for sure. I hope her Mom saves it for her. About the card....thank you for sharing the inside too. It's darling. Adorable, Tanya. Love this version of the characters. Younger versions and there is no doubt who they are. (some not so much) Your coloring is beautiful and I love the sparkle. I just love this, Tanya!!! Beautiful! This is beautiful inside and out! This is absolutely adorable!!! 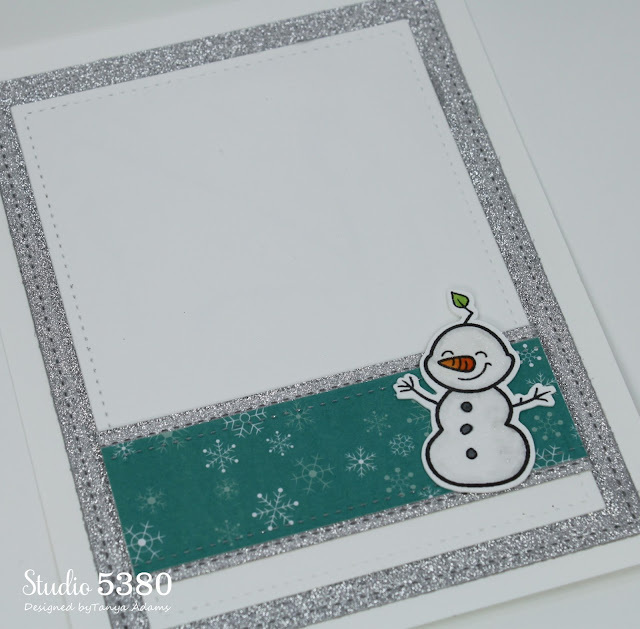 I love that sweet little image and all the sparkle! OMG this is one cute cad. I love, love, love it. You are just AMAZING!! Awesome talent!! This is just DARLING my friend!! 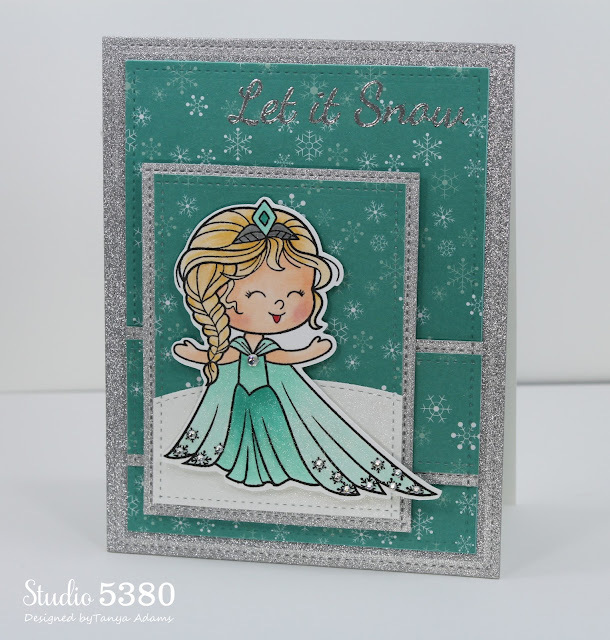 This is such a pretty card Tanya! LOVE that sweet image and pretty paper! :) Have a wonderful day! What a super ADORABLE card Tanya!!! I LOVE all the sparkle!!!! Sweet! I also love that your card insides are as adorable as its outside! Such a great card Tanya!! i love the color and the image is so sweet. Aaaw, what a sweet card for Hannah! She will adore it~Arya love's anything Frozen too~I love the colors you chose on this and I love the sparkle!